Stop guessing and just get it done. Get the perfect diet plan designed specifically to help you achieve your specific goals. Get a unique, totally customized meal plan. Have a diet custom designed to suit you, your lifestyle and your needs and goals. 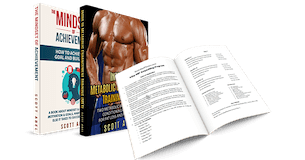 Get your diet designed by one of the best physique transformation and bodybuilding coaches in the industry. Get a diet based upon your own information and biofeedback and current metabolic profile, rather than a “one size fits all” approach.